Our cloth is highly desirable and features blended fibres with subtle twists and intricate patterns. Using yarn of the finest quality, we produce a collection of original designs each season suited to current menswear and womenswear trends. Our design team regularly works with internationally renowned fashion houses to create exclusive fabrics for their sole use. Aesthetic and nuance is everything; a slight alteration to a fabric can make all the difference to its suitability. 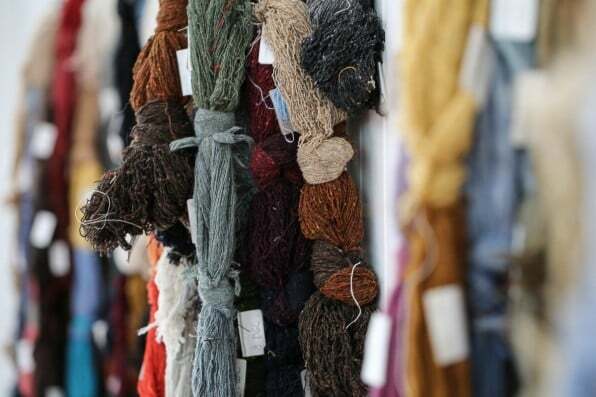 Our archive of textiles spans two centuries and, as well as being the ideal place to embark upon a creative collaboration between the design team and our customers, is an invaluable resource. This rich heritage, incorporated with modern machinery and CAD software, gives Robert Noble the confidence and capacity to provide our own contemporary take on a centuries-old tradition. If you wish to work with our design team and can meet the necessary minimum requirements of 100m per colourway please contact us for trade prices.